When you decide to get into selling products online, it can help to know what you should do. Whether you are selling your own products from an offline location, or whether you are running a completely online service, you should be aware of a few things. Many people get started selling products online through other Web sites. They create storefronts through businesses like eBay and Amazon. This has its advantages since, it provides an easy-to-use template for selling your merchandise. You can easily set up such storefronts to reflect an offline location that you might have in the “real” world. Another advantage of using such ecommerce Web sites is that they are searched by thousands of people everyday. Your products are more likely to be found when they are part of a well-used and respected retailer. You usually have to pay fees or a portion of your sales to the Web site, however. Affiliate marketing is another way of selling products online through other Web sites. This is when you include a link to or set up a page on somebody else’s site. You actually sell someone else’s products. In return, you get to keep a portion of the sales that you make. This is an easy way to earn a little extra money, since you can set up the link or page and do little else. You can promote in order to make more money, but this is a nice solution for some since it is mainly order taking: Someone else fulfills the orders, tracks the inventory and collects payment. Ecommerce Web hosting. First of all, you need a place to set up your Web site. Ecommerce Web hosting can provide you with your “address” on the Internet. You can get your own Internet address (highly recommended) or use one that incorporates the host. Ecommerce Web hosting comes with a variety of tools and services that can help you get what you need. Make sure that you have enough bandwidth and disk space to set up a business Web site that is convenient for customers. You will have to pay money if you want good ecommerce Web hosting, but a good ecommerce host can help you with just about everything you need to sell products online. Shopping cart software. It is very important that you use shopping cart software when selling products online. Your customers need to be able to easily select and pay for items. Shopping cart software comes with different features and tools that can allow you to do a number of things. Make sure that you pick a program that makes things easy for your customers, and that you can integrate with your accounting and inventory functions. Many ecommerce Web hosts offer shopping cart software as part of their services. 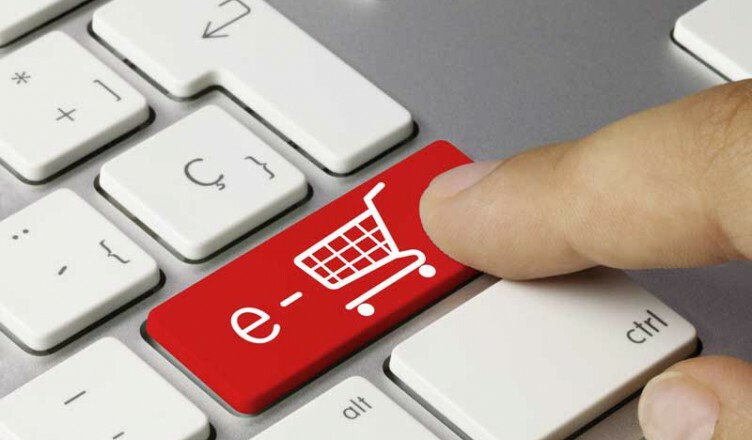 Shopping carts integrate with your merchant account provider. SSL. Secure Sockets Layer, or SSL, is vital for anyone who wants to sell products online. This is a security protocol that protects your customers’ information from third-party sources, like hackers. Customers want to know that their personal payment information is not going to be stolen, and having SSL helps put their minds at ease. You can get a shared certificate – using the SSL certificate your ecommerce Web host has – or you can pay for a dedicated SSL certificate. Catalog program. One of the ecommerce tools that you should have when selling products online is some sort of catalog. Your catalog should allow you to easily add more products, as well as remove products that are discontinued. You should use a catalog that allows you to input product details, as well as integrate media like pictures and video to enhance your product listings. It can also help to have catalog software that offers the ability for customers to enter reviews and rate items. Whether you decide to use another Web site to sell your products, or whether you will be selling products online from your own Web site, it is important to look for what meets your needs. Consider cost, convenience and professionalism. You should also consider what will be convenient for your customers, and what offers you the chance to improve your customer base. Many people find a balance by starting out selling products online through another site, and then creating their own site once they have made enough money to cover the cost.